The Butterick B5506 Apron Pattern is a fabulous pattern because it has one feature that is just so handy – an adjustable neckline strap! This is perfect as you can easily slip it over your head and then adjust the strap through the casing to ensure your apron fully covers your neckline area to protect your clothes. 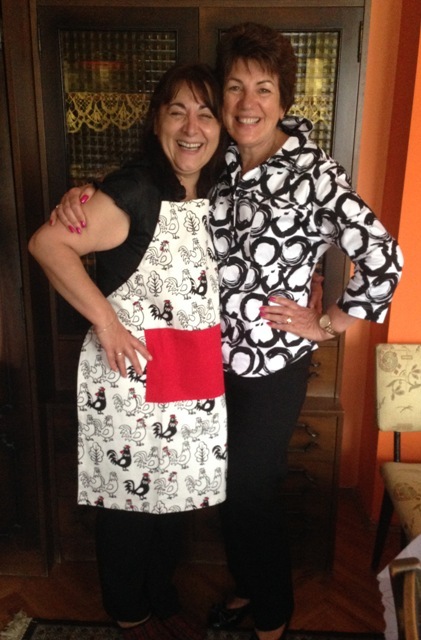 Watch my video below which features 6 aprons I made from the Butterick B5506 pattern as gifts to my family in Serbia! This year I had my first trip to Serbia, my father’s home country and I had the opportunity to meet with 4 of my first cousins for the very first time in my life, it was such a fabulous experience! 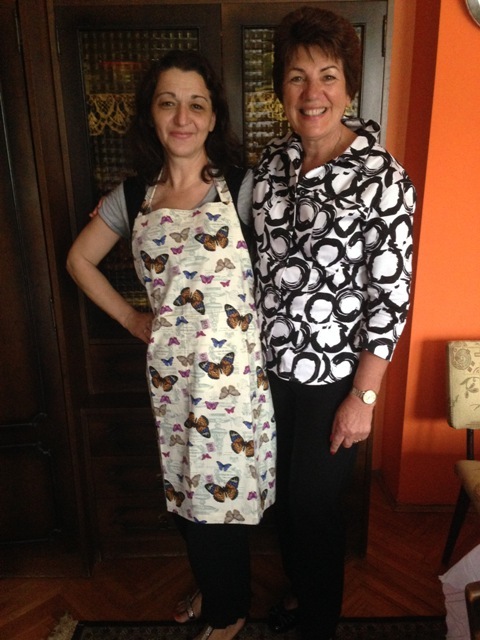 Here are some pictures of my Serbian family wearing the apron’s I made for them, and by the way they turned out to be the perfect gift because they all do an enormous amount of cooking and certainly presented us with a delicious spread of traditional Serbian food for us! 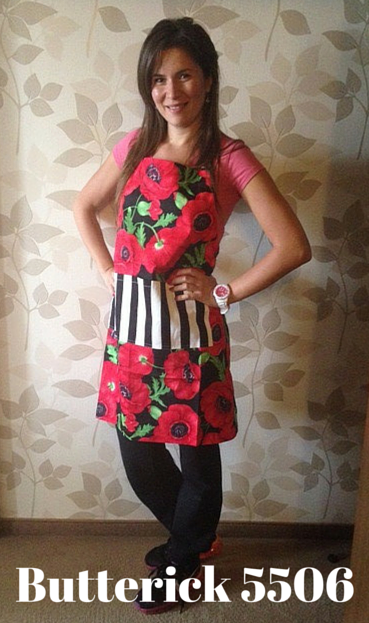 Ljilijana’s loved wearing her Rooster inpsired apron! 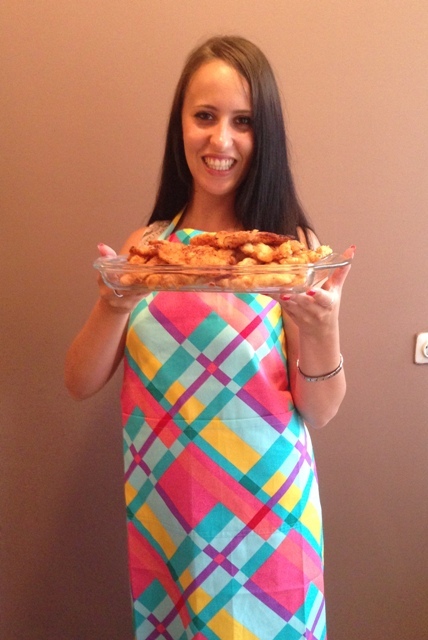 Emily serves up a delicious tray of Serbian food in her bright and colourful apron! 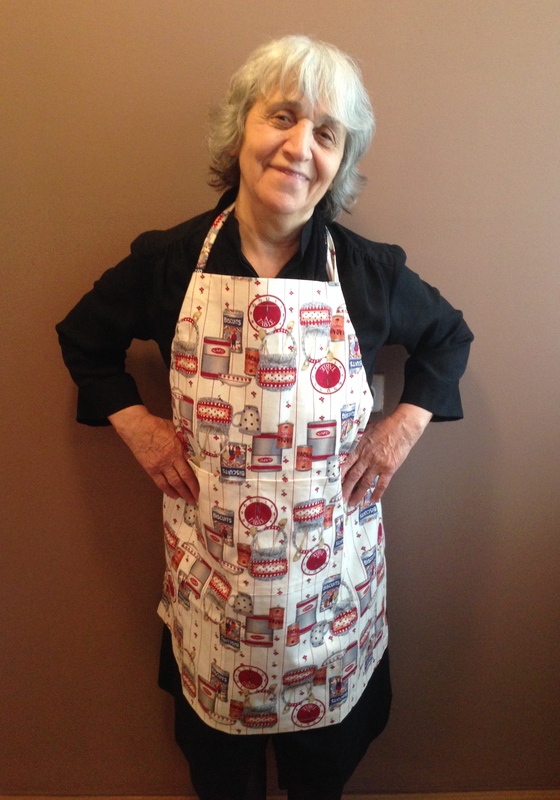 Slobodanka’s was pleased with her biscuit & baking inspired Apron too! Making your own gifts is such a wonderful experience! If you would like to join one of my sewing classes to sew Christmas gifts this year, I’m taking bookings now for Term 4 and there are just a few spots left up for grabs! Have you made Butterick B5506 Apron pattern or are now inspired to sew one up yourself? If so, please leave a comment we would love to hear from you and see your sewing projects too.